Trader Joe’s is totally my go-to when I want to pick up some healthy-ish prepackaged foods that make planning out my meals a whole lot easier, and I know a lot of other people do the same. That’s why their latest recall is so alarming. 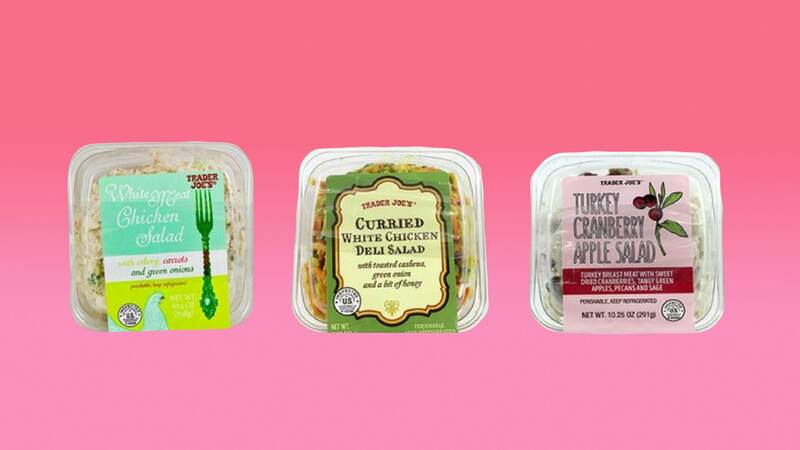 On Saturday, Trader Joe’s announced it’s recalling three of its packaged chicken and turkey salad varieties: White Meat Chicken Salad, Curried White Chicken Deli Salad and Turkey Cranberry Apple Salad. The containers with use-by dates between Nov. 10 and 21 and a USDA Inspected code of P-40299 might have pieces of glass or hard plastic within, apparently as the result of a contamination in the production facility. Containers that have a different inspection code were produced at a different facility and are not part of the recall. The salads affected by the recall were sold in several states. White Meat Chicken Salad and Curried White Chicken Deli Salad were sold in Arizona, California, Nevada, Utah, Colorado, Louisiana, New Mexico, Oklahoma and Texas. Turkey Cranberry Apple Salad was sold in Arizona, California, Nevada, Utah, Idaho, Oregon and Washington. If you purchased one of the recalled salads, you should throw it away or return it to any Trader Joe’s for a full refund. Customers with any questions can call Trader Joe’s customer relations at 626-599-3817.